Milestone in Leipzig: The 100,000th Macan has rolled off the production line at the production plant in Saxony. This success story began with the start of production of the Macan at the end of 2013. Porsche expanded the erstwhile assembly plant by adding a separate body shop and paint shop for the compact SUV. "It took only two years from the ground-breaking ceremony to the start of production – it was a project with a highly ambitious time schedule and the team mastered it with flying colours," said Dr. Oliver Blume, Member of the Executive Board for Production and Logistics. The project involved drastically increasing the production area and the number of employees, setting up new processes and upgrading hundreds of production machines. Now, the 100,000th Macan rolled off the production line. 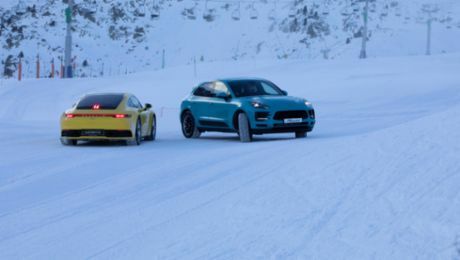 The milestone vehicle, a sapphire blue Macan Turbo, will be delivered to the USA.